Ambulances are amazing vehicles used to help people in their time of need. When someone is sick or injured, an ambulance is called and paramedics help get that person to the nearest hospital. But these vehicles are different all over the world. While some are bright red in one city, a few states away an ambulance might be neon yellow or even green! 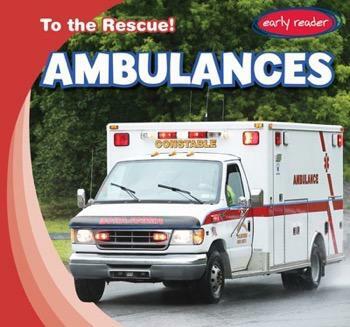 This book takes a look at these very fast and high-tech vehicles, giving beginning readers a glimpse of a rescue vehicle they might not ever need, but will always be there just in case.